Many people find a mystery to pet fashion that they can't quite put their finger on. Unless you enjoy both the joys of fashion and the company of your pet, you might wonder what the buzz with pet fashion is all about. Pet Fashion Week is just as important to some pet fashion lovers and fashion designers as fashion week is to lovers of clothes design and human fashion. It's about getting into something that is enjoyable to you. Even if pet fashion may sound like something far off and obscure to you, consider what it means to the pet world. Pet fashion can help to bring attention and awareness to issues that closely relate to members of the pet community. Pet fashion is a part of helping people go that extra mile to care for the four-legged members of their community, and get involved in something fun that they can really be part of. Okay, so in truth not everybody is going to be able to get into pet fashion. We've seen the designer dog collars being sported and bandied about as well as those stylish pet t-shirts and trendy dog carriers too—they are not something that every pet owner will take an interest in. On the other hand, there are so many people out there who are passionate about what pet fashion has to offer. Some people even make careers out of it. 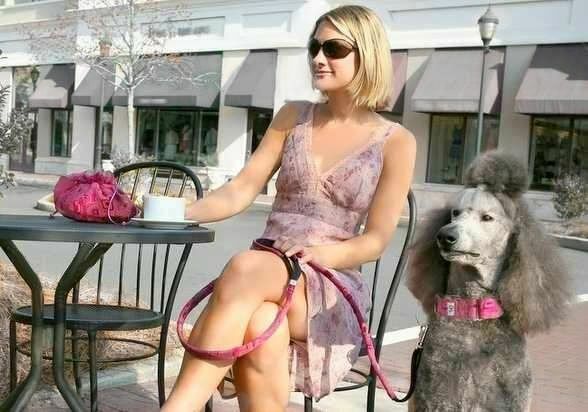 Nobody is saying that pet fashion is something that you have to get into, but it is something that any pet lover should at least try to see the other side of. At least it isn't nearly as fickle as the human fashion world can tend to be. If you have ever done it before, you already know that adopting a dog or a cat from your local animal shelter is one of the best things that you can do for your family. It gives you a wonderful feeling inside knowing that what you have done may potentially be the thing that has saved the life of this special animal. The best thing about the shelter as a way of adopting a dog or a cat is that it allows people like you to complete their families with animals that also needed you to complete theirs. The rewards that can come from such an adoption experience can pay you back for quite some time. Did you know that your local shelter has more to offer than regular dogs and cats? While some shelters may have a more diverse selection of animals than others, it is true that most rescues, humane societies, and animal shelters have a great deal more to offer as far as pets go than just regular dogs and cats. Ferrets, hamsters, and guinea pigs are all animals that are found in animal shelters that people don't even think to take a look at. The same goes with iguanas, rabbits, birds, and other animals that people keep as pets other than dogs and cats. Not every shelter may have these types of small and exotic pets available, but they do come in every now and again to most, and all pets at the shelter are in need of homes. The holidays can be an extremely stressful time for your dog or cat, not to mention you. Visitors coming in and out of the home, new sights and smells and things of that nature can certainly stress your dog out. And then there are other dangers to worry about as well, like poinsettias, holly, and other plants that go along with the holiday season. It can seem like you are just asking for it when it comes to the Christmas tree. 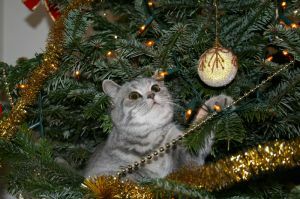 It is tough to have Christmas without a tree, but they pose such a health hazard to your pets! Especially cats, who want to climb up in and chew on everything—they are especially at risk. Combat this risk by using an artificial tree in your home instead of an authentic one. Sure, you sacrifice the real Christmas tree smell but you could be saving the life of your dog or cat. The same goes with poinsettia plants. They can be beautiful, but deadly for your pet at this time of year. Also, be sure to supervise your pet around holly, tinsel, and wrapping paper. These pose choking hazards to your pet, so be sure to keep that in mind as well. The holidays can be a fun and beautiful time for you and your pets, if you know how to handle it and just what dangers this time of year can pose.